Louis I. Kahn was one of the most influential architects, thinkers and teachers of his time. This book examines the important relationship between his work and the city of Rome, whose ancient ruins inspired in him a new design methodology. Structured into two main parts, the first includes personal essays and contributions from the architect’s children, writers and other designers on the experience and impact of his work. The second part takes a detailed look at Kahn’s residency in Rome, its effects on his thinking, and how his influence spread throughout Italy. It analyses themes directly linked to his architecture, through interviews with teachers and designers such as Franco Purini, Paolo Portoghesi, Giorgio Ciucci, Lucio Valerio Barbera and the architects of the Rome Group of Architects and City Planners (GRAU). 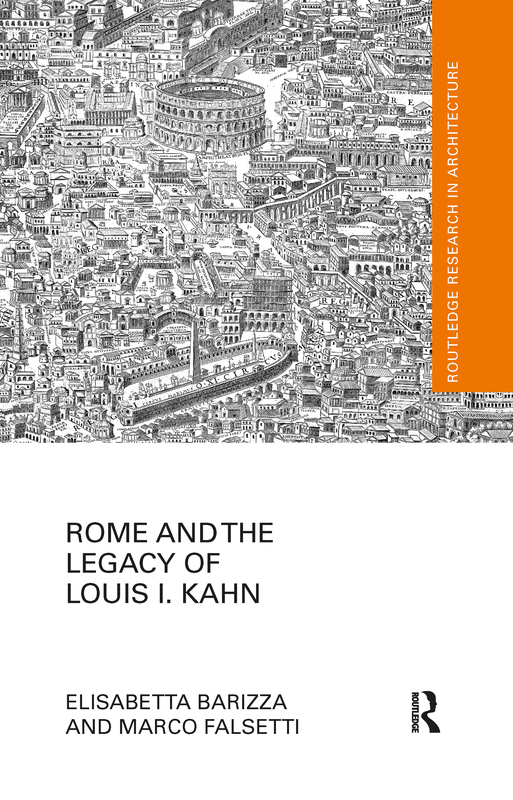 Rome and the Legacy of Louis I. Kahn expands the current discourse on this celebrated twentieth-century architect, ideal for students and researchers interested in Kahn’s work, architectural history, theory and criticism.